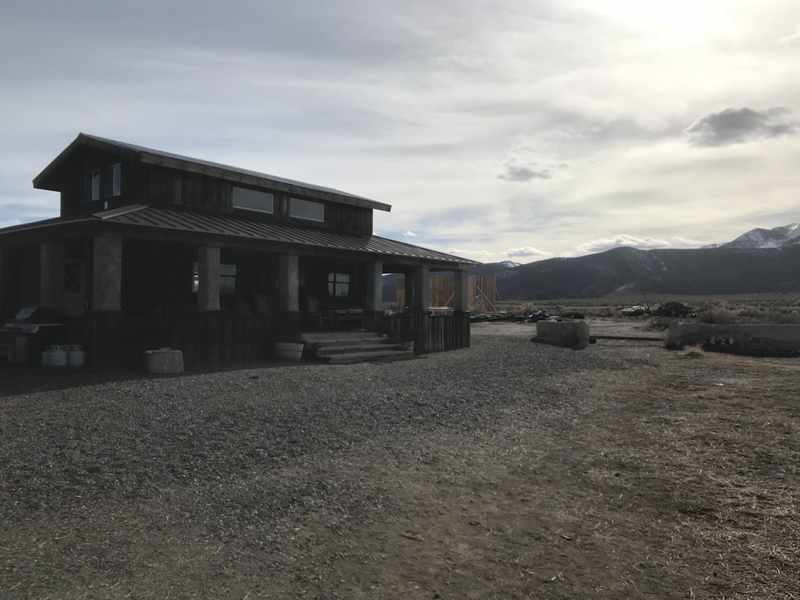 General Description: Hot Springs Ranch is a rustic geothermal privately owned hacienda in the middle of the high desert of Nevada. Along the "loneliest highway" in America surrounded by views of the Monitor Mountains, Ruby Mountains and Toiyabe National Forest sets this unique western ranch that includes a hot springs lagoon, wooden tub spa, octagon spa, a real life outhouse. ​Hot Springs Ranch is a fully-functioning Adventure Lodge & Retreat Center, hosting groups of all kinds. Location: From Eureka, Nevada it is about 30 miles or 40 minutes. 10.5 miles on the left. Accessibility: ​Hot Springs Ranch is accessible by dirt road. Check the road conditions before going. You can drive up to the ranch. It is an easy walk around the ranch. There is no handicap accessibility. Hot Springs: Hot Springs Ranch boasts very hot water. The source is 160 degrees. The Hot Springs Lagoon ranges from 125-115 degrees. It is a large natural pond about 50 feet long and 25 foot wide. It is about knee to waist deep. The Octagon Spa ranges from 104-106 degrees. The spa is 10 X 10. The Metal spa is 105 degrees. Hot Spring Tips: ​Hot Springs Ranch is on private property. Reservations are a must. This is clothing optional. The source is very hot. Take caution. No glass. The hit springs are pet friendly. No services in the area. Outhouses are available. Best in spring and fall. This is a fully-functioning Adventure Lodge & Retreat Center, hosting groups of all kinds. There is a full yoga deck. Kitchen on the premises. Lodging available. Youtube Video on Hot Springs Ranch is below.